Idlewright is crafted by Olga Karapanou Crawford. She is the first Greek winemaker to become a Master of Wine, considered the crowing achievement in wine appreciation. Olga was born and raised in a winemaking family in Greece, where she earned her bachelor's degree in chemistry before coming to California to get her degrees in viticulture and oenology. Wine may have first been made in the Middle East, but it was the Greeks who had the greatest impact on wine production in Europe. Way before the Roman Empire existed, it was Greece that ruled the world. Wine was an integral part of their culture and, as they conquered others, they took the vine with them. The first place they landed was Italy, who already had a winemaking society. But, the Greeks noticed that the wines from Italy tasted better. As it turned out, the grapes were trained around olive trees, which got them off the ground, where they attracted more sunlight. As a result, Greek winemakers began installing stakes in their vineyards, on which to train the grapes - and a revolution began. 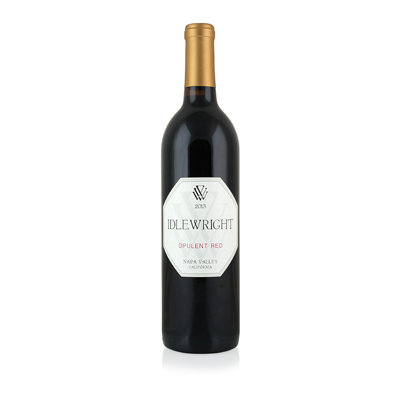 Our selection is a blend of Merlot and Cabernet Sauvignon with a touch of Petit Verdot. It represents a sort of yin/yang of wine, as the grapes came from both the warm area of Calistoga and the cool area of Oak Knoll. The result is power and elegance wrapped up in one beautiful robe of fruit and extract that makes its long finish worth the wait.